Protection from moisture has always been a challenge for building technology experts across the world. Waterproofing for moisture load, waterproofing in submerged condition and water proofing for soil filled structure etc. is being commonly done by the experts. The primary function of waterproofing is to ensure that structure of the building is not affected by the ingress of water and salts, but what if the structure is subjected to high chemical, temperature, solvent and mechanical loads. Remmers, a company from Germany and now in India, has introduced a unique product which is capable of handling the following loads simultaneously. 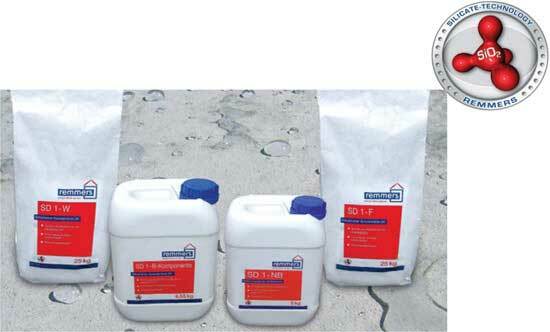 This new system is called SD1 Waterproofing which is based upon silicate technology in waterproofing. The system comprises of high quality, 2-component, cement free, silicate based waterproofing mortars Remmers SD1-W and SD1-F for vertical and horizontal surfaces, respectively. This breakthrough in waterproofing has been possible by incorporating the silicate technology into the waterproofing system resulting in a new generation product. These special protective substances bonds in the pores and capillaries of the building materials, giving them completely new properties. 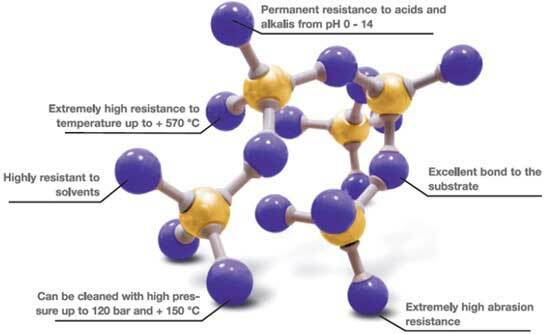 Due to completely insoluble silicate compounds in SD-1, surfaces remain free from damage when subjected to extreme loads like high temperature, chemicals, mechanical degradation or solvents. SD-1 Waterproofing is going to solve problems related to concrete deterioration (due to high temperature, chemicals and mechanical abrasion) by prolonging the life of the structure and by ensuring high usability. lt will find its extensive usage in the Industrial and Agriculture sectors. This unique and innovative product has been introduced by Remmers India, wholly owned subsidiary of Remmers AG, Germany. Posted on Tue, Apr 17th, 2012, in What's new and tagged Concrete, Construction and Maintenance, environment, horizontal silos, Materials and Supplies, silicate technology, Waterproof. Bookmark the permalink. 2 Comments.